September | 2014 | Cooking With Mr. C.
1. In large pot, put 2 cups of brown rice with 4 cups of water. Cook on high heat. When it begins to boil, cook on a low heat until all water is absorbed. 3. When zucchini is tender, add arugula. Stir together. 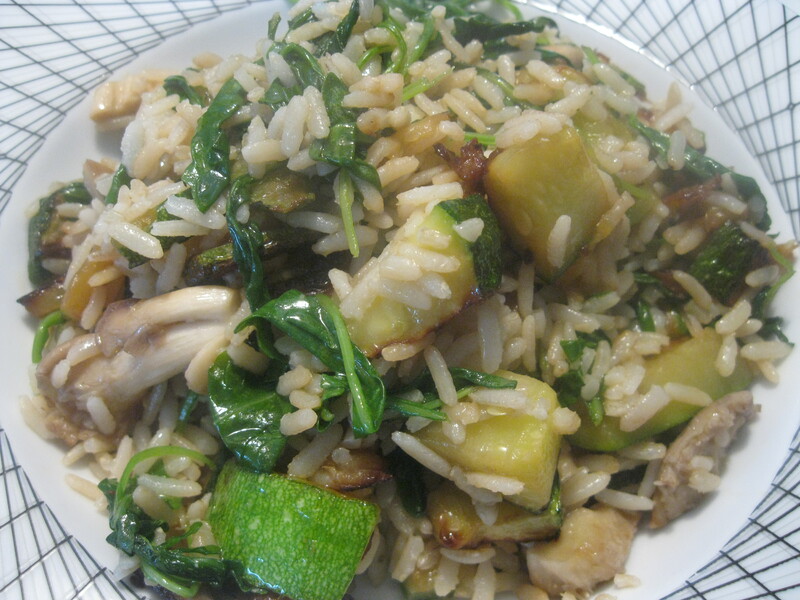 When arugula is tender (about 3 minutes), pour vegetables into cooked brown rice pot. Mix all together. 4. Add a little more sea slat to taste. *Optional: Squeeze a little fresh lemon on top before serving. 1. In a large skillet, over high heat, cook the bacon until it turns crisp. Leave to the side. 2. Pour all but 2 tablespoons of bacon grease from the pan. 3. Sauté the onions and celery in the bacon grease for 5 minutes, until the vegetables turn soft. 4. Transfer them to a bowl and set to the side. 5. Season the beef with sea salt and black pepper and brown it in the remaining bacon grease. Once all sides of the beef are browned, sprinkle the parsley, thyme, rosemary, allspice, and flour over the beef. 6. Stir in the tomato paste and cook beef for 1 minute. 7. Add cooked vegetables, crisped bacon, wine, and beef stock into the pan with the beef, and then cook the mixture over low heat, covered, for about 1 hour to 1 hour and 15 minutes. 8. 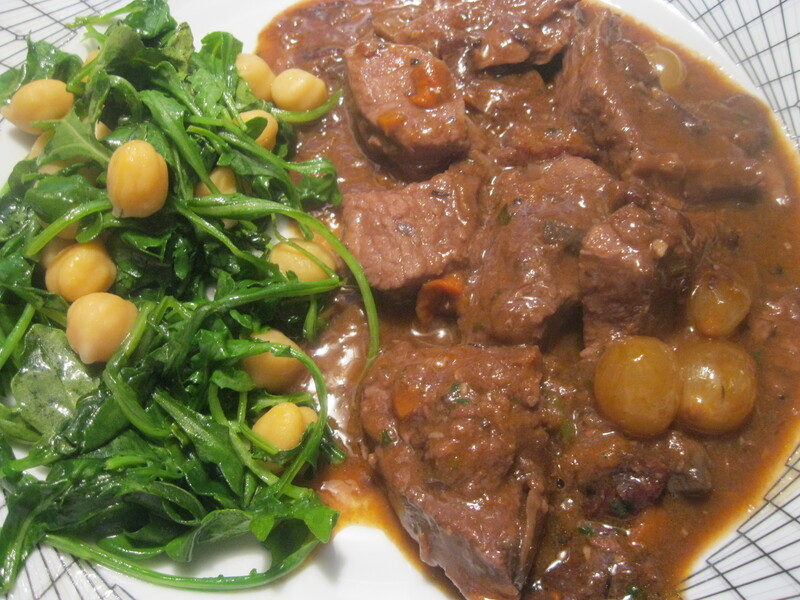 Beef Burgundy is done when the meat and vegetables are tender and the sauce is thickened. 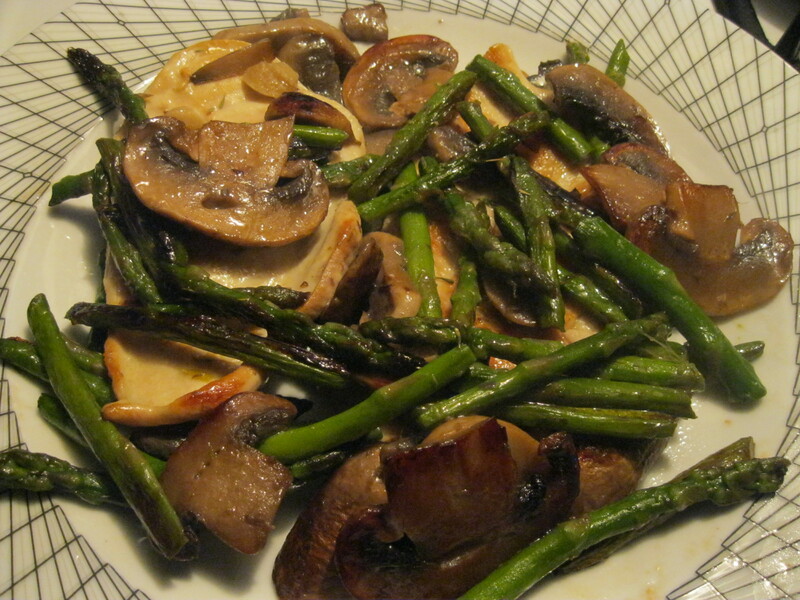 *Serve with a green side vegetable. I recommend sauted arugula and chick peas in olive oil. 2. In a large skillet, put 2 tbsp. of olive and garlic. Brown garlic for a minute and then add arugula. 3. 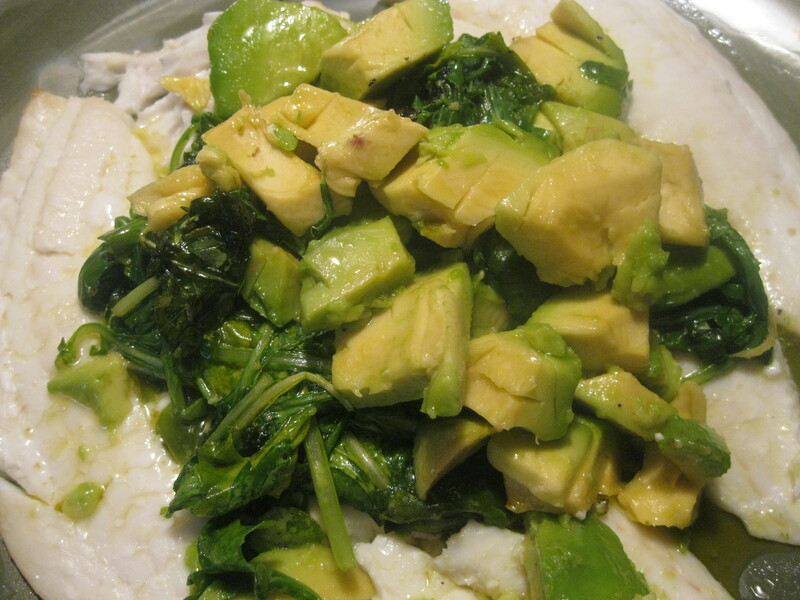 When arugula becomes soft, add avocado. Sprinkle with a pinch of sea salt. Mix. 1. Cream butter with brown and white sugar. Add eggs and vanilla and mix some more. 2. In a separate bowl, put flour, cinnamon, baking soda and nutmeg. Mix well. 3. Add flour mixture to butter mixture. Mix well. 4. Add in dried blueberries and mix again. 5. 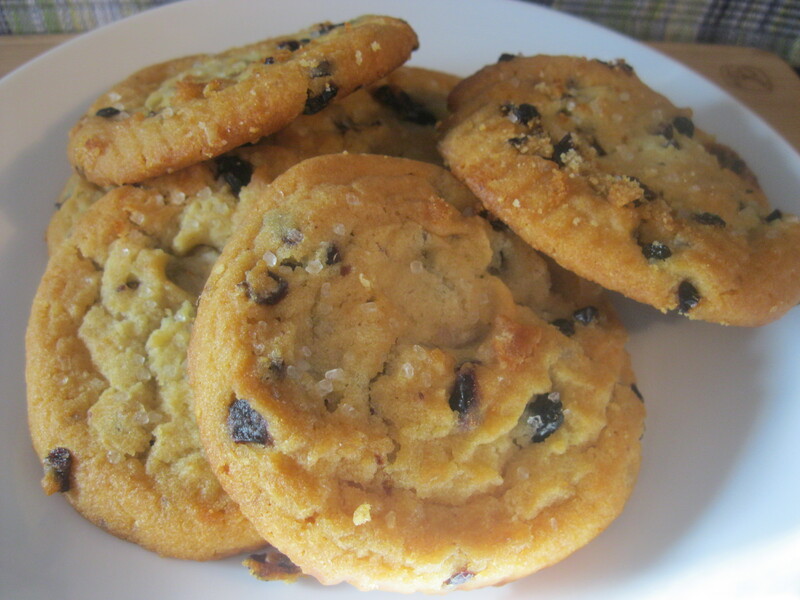 On a baking sheet (with parchment paper) drop a large tablespoon of batter. 6. Bake for about 10 – 12 minutes. *I usually double the recipe. 2. Cook until tender. Add tomato paste and mix well. Cook for an additional 3 minutes. Set to the side. 3. In a deep baking dish, coat the bottom with a tbsp. of olive oil. Sprinkle with sea salt, black pepper and dry parsley. 5. On individual dishes, put a serving of rice. 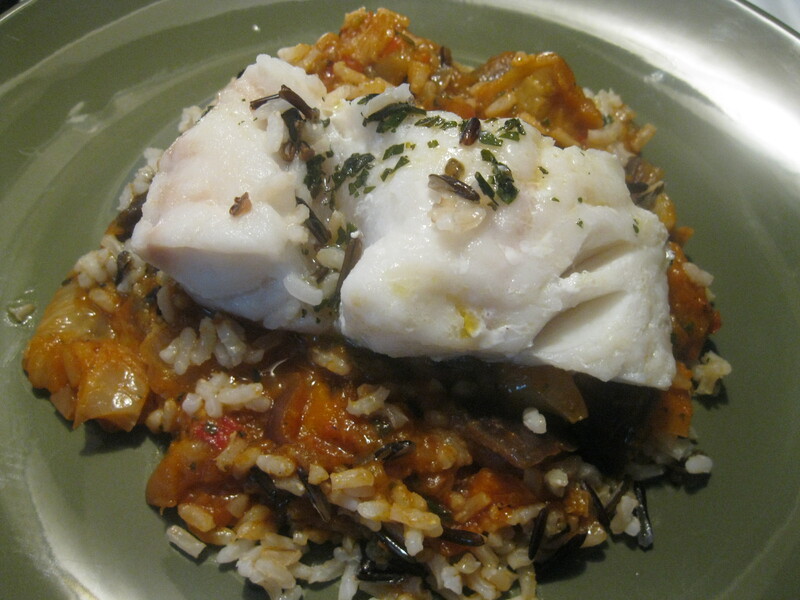 Put a serving of eggplant on top and top with a piece of cod. 1. In a bowl combine flour, baking soda and salt. Mix well. 2. In a large bowl, add sugars and butter. Mix well. Add eggs and vanilla, and beat at medium speed until well combined. 3. 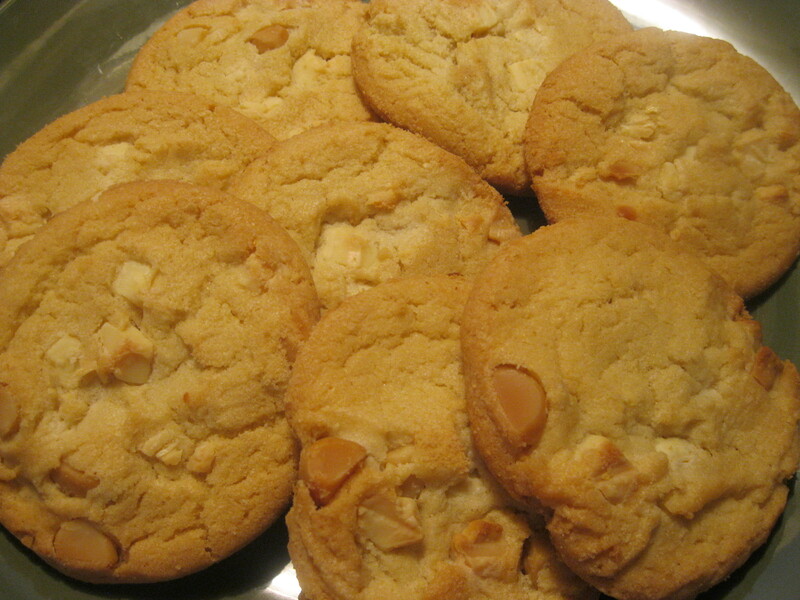 Add the flour mixture, macadamia nuts and white chocolate chips. Blend on low speed until combined. 4. Drop round spoonfuls onto ungreased cookie sheet. Bake for 10-12 minutes or until edges begin to brown. Let cool.